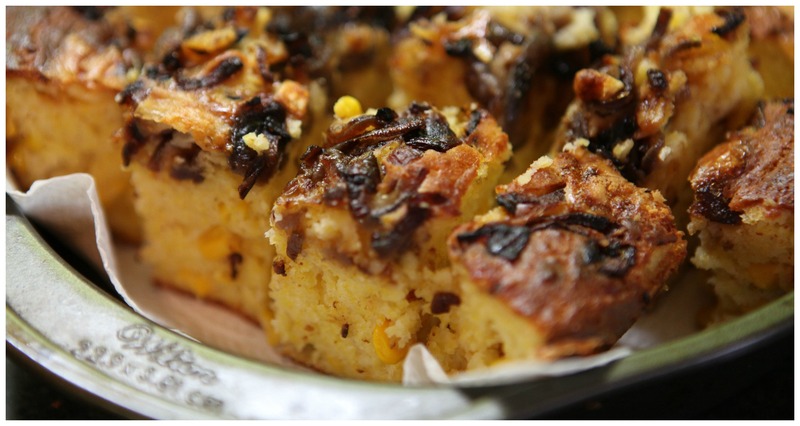 There is something deeply comforting about a good cornbread, it has substance, is savoury but has a slight sweetness to it, the texture and flavour means it stands up well to thick soups, stews and chilli’s and on its own, still warm from the oven, slathered in butter it is a delight. Plain cornbread is great but on occasion it is nice to guild the lily a bit and add some extra flavours. I was looking for something to bring to an afternoon get together, something that could be cut in to small squares and left on a table to be grabbed by people as they passed. Given that so much of Deb Perelman’s cooking is about food as something to be shared social events I went straight to Smitten Kitchen where I found this recipe and adapted it ever so slightly by using gluten free flour and psyllium husk and also adding a scattering of crumbled goats cheese over the top of the bread before it went in the oven. This worked really well with the gluten free flour, it had a soufflé like center, light and moist and it didn’t crumble and fall apart when cut which can sometimes happen with home baked gluten free breads. It was also delicious and very moreish, the only change I would make for the next time I bake this would be to stir the onions through the batter rather than scattering them on top as some of my onions charred a bit. This is a recipe you have to start the night before you want to eat the bread so bear that in mind! If you don’t have an oven safe skillet would can also make this in a 10” cake tin. 6 ounces of cornmeal, if you are celiac make sure to check the package to ensure it was produced in a gluten free environment. 8 ounces Doves Farm or Aldi gluten free flour mixed with 2 teaspoons of psyllium husk. 6 ounce of very soft goats cheese. I used one with the texture of a cream cheese and it blended very evenly in to the batter. The night before you are going to bake the corn bread place the cornmeal in a bowl with the buttermilk and allow to stand so the cornmeal can soak up the milk and soften, this will stop the bread having the gritty texture you can sometimes get in cornbread’s. Cover and leave at room temperature overnight. Preheat the oven to Gas 4, 180, 350°F. 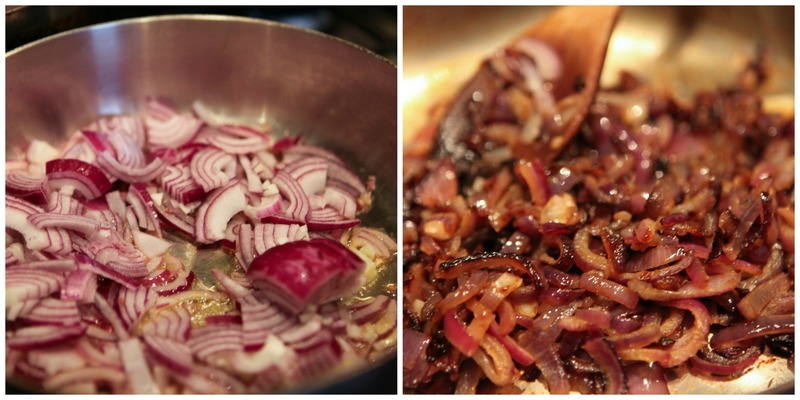 Heat 1 to 2 tablespoons of oil in a large pan over a medium heat and add the onions. Cook them slowly until they are well caramelized. Season with salt and set aside. Sift together the gluten free flour, psyllium husk, gluten free baking powder, baking soda and salt and set aside. In a large mixing bowl, beat the soft goat cheese until fluffy. Add the eggs, one at a time and scraping down the bowl between each. 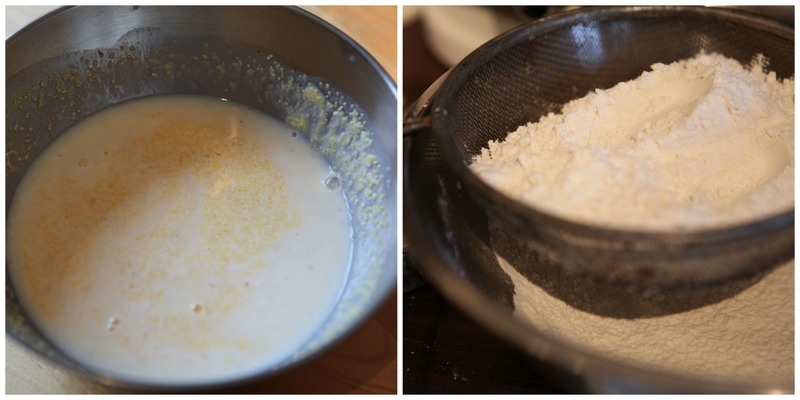 Add the melted butter, honey, sugar and cornmeal/buttermilk mixture to the egg batter and mix until smooth. 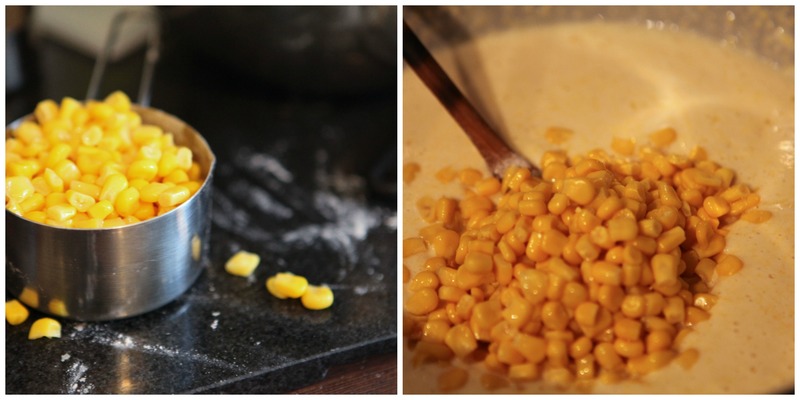 Stir in the flour mixture until combined and then gently stir in the sweetcorn. It is at this stage I would also add the cooled onions to the batter rather than scattering them over as I did the first time I made the recipe. 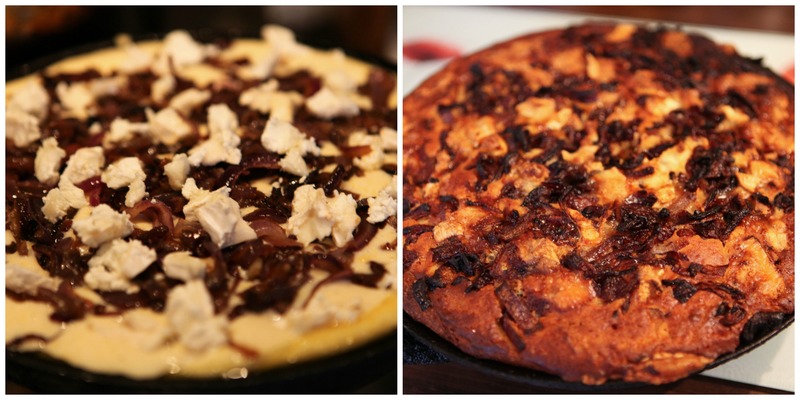 Place two tablespoons of oil in a 10” round cake pan, I used a 9” round cast iron skillet. Place the pan or skillet in the oven for 5 to 7 minutes, until the oil gets very hot. 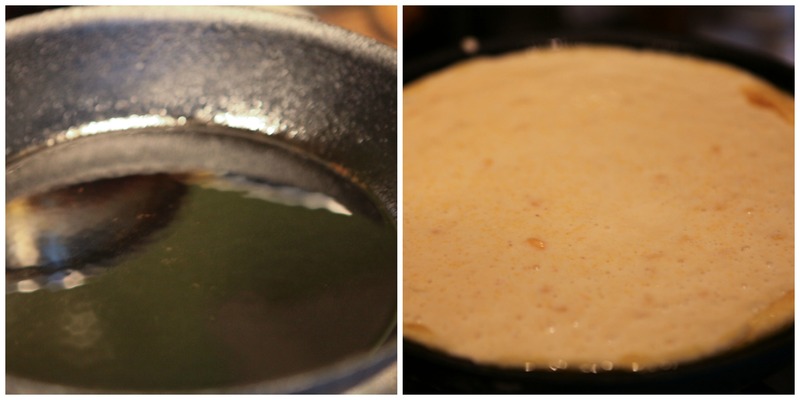 Carefully remove the pan/skillet and tilt it gently to evenly distribute the oil over the base and sides. Pour in the batter, spreading it evenly and sprinkle crumbled goats cheese over the top. Place back in the oven and bake for about 30 minutes, or until the cornbread is firm and springing and a cake tester inserted into the center comes out clean. If you feel the top of the bread is browning too much you can loosely cover it with a foil lid. Remove the pan/skillet from the oven and allow to rest for 15 minutes before turning it out on to a cooling rack, allow to cool for another 15 minutes before slicing. If you are going to serve the bread as a nibble to go with drinks slice it into 1.5” squares if you are serving as a side with a meal you can make your squares a little larger. This is a brilliant recipe, it looks delicious!